Now that the Carnaval festivities are over, time has come to enjoy a different kind of music! The samba is a wonderful rhythm; recently everybody had the opportunity to either watch the samba schools or to go to Carnaval balls and dance to one’s heart’s content! Of course, this kind of thing is for those who are up to it, and interested in participating in this wonderful feast. But now, as we say in Brazil, Carnaval is over and 2019 has started. So, let us try and enjoy something else. This is not just my own comment. I have heard it many times in recent weeks: let us all have a break, forget the samba for a while, and enjoy a different kind of show. As you all know, most theatres were closed during the Carnaval festivities. However, these theatres are now starting their runs of different plays. Up to the moment, after returning from a week out of Rio I, myself, have seen four new plays! So, considering the large number of new openings in the last few days, I must admit that I have been really trying to select something special, and that might be enjoyable for my readers. And then, with this idea in mind, I chose to write about this musical. A musical that is quite a delight to the audience! “Cole Porter – Ele Nunca Disse Que Me Amava” fits the bill for all those who are fans of this kind of entertainment. And also for those who, up to now, are fans of both Cole Porter’s music and of his controversial personality. Porter’s songs were very popular during his lifetime; and they continue being a delight to hear, both by the new generation, and certainly by those who are no longer so young. 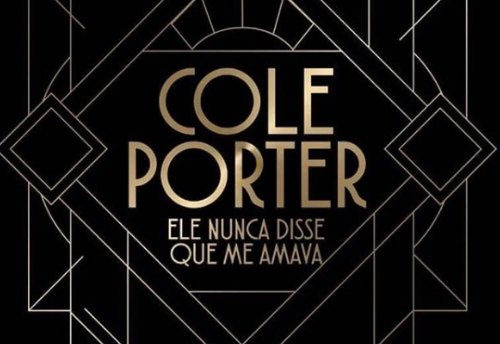 For all of you who would like to hear Cole Porter’s music live, there is now an excellent opportunity: “Cole Porter – Ele Nunca Disse Que Me Amava” brings a selection of twenty-six songs by this famous North American composer and lyricist, all sung live by a wonderful female cast of six. Charles Moeller and Cláudio Botelho present us this new version of their past success with this musical. Back in 1999, they both started to plan and rehearse something that was supposed to run for one month, but became so successful that it stayed on for four years between Rio de Janeiro and São Paulo! And then, the musical moved to Lisbon where it played for six months at the Cassino Estoril, before returning to Brazil. This musical was always a great success and played to full houses. But this was in the old days! I remember seeing this musical then, and how much I enjoyed it. However, for me it was a pleasure to see now this excellent new version of Cole Porter’s life, as I have always been a great fan of his music. And one can only wish that Moeller and Botelho will achieve the same success now as they did in the past! Charles Moeller is the author and director of the play. It is a semi-biographical text, dealing with the life of Cole Porter, although there is no actor taking his role in the musical, only a voice off. The story focuses on the important women in Porter’s life, such as his mother and his wife, but also brings us personalities of the time, like Elsa Maxwell and Ethel Merman. Cláudio Botelho, besides preparing the Brazilian version of the songs (although some of them are performed in their original English version), is also the Musical Director. It would be unfair to make a special mention to any name in the cast. 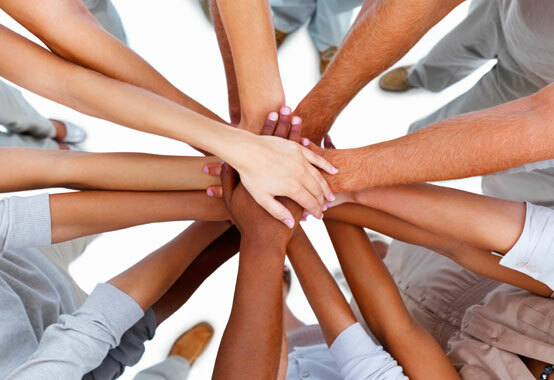 All six ladies (Alessandra Verney, Analu Pimenta, Bel Lima, Gottsha, Malu Rodrigues and Stella Maria Rodrigues) are part of a team, and it is an excellent team! Obviously, as many years have passed, some different actresses/singers are now involved. Those who were in the first version, and are again participating in the cast are Alessandra Verney, Gottscha and Stella Maria Rodrigues. The other three are new. 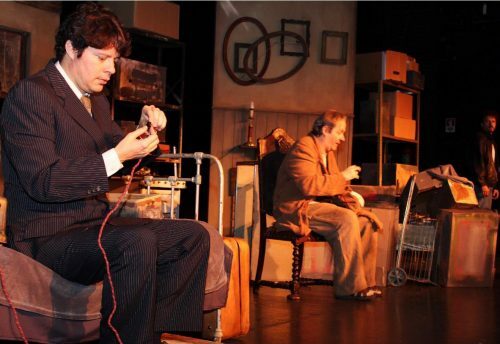 However, whether or not having gone through changes, the present cast is all first class! The beautiful costumes are by Marcelo Marques, the excellent lighting by Paulo Cesar Medeiros and the inventive set by Rogério Falcão. The three musicians who play live (Marcelo Castro, Omar Cavalheiro and Marcio Romano) are also very talented. All this adds to a very enjoyable evening. 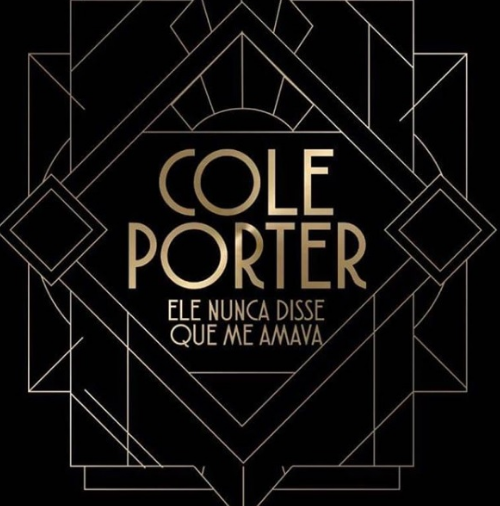 “Cole Porter – Ele Nunca Disse Que Me Amava” opened on the 15th of March, and is scheduled to finish on the 28th of April. The reason is that the musical should be moving to São Paulo, after finishing it run in Rio. The Rio de Janeiro performances take place at the Theatro Net Rio, on Rua Siqueira Campos, 143 – 2nd floor – Copacabana, located inside the building known as the Shopping dos Antiquários. The musical lasts for 100 minutes, with a fifteen-minute interval. The theatre seats 623 people, and there are facilities for people with special needs. The building where the theatre is located has paid parking, entering through a side street. However, the metro station (exit Siqueira Campos) is located only half a block away. And there are plenty of taxis at the door of the building, once the play is over. 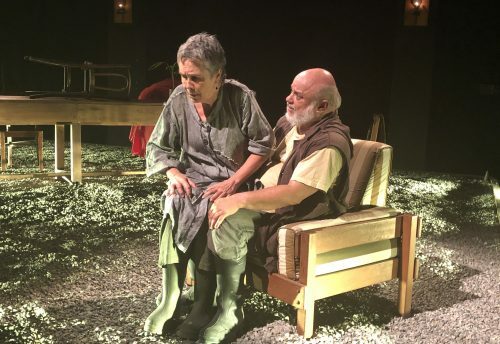 Performances take place on Fridays at 08:00 P.M., Saturdays at 09:00 P.M., and Sundays at 05:00 P.M. Prices of tickets range from R$ 70,00 (seventy Reais) to R$ 180,00 (one hundred and eighty Reais), and there are also different discounts on the above prices: 50% (fifty percent) for students and senior citizens; and also 50% (fifty percent) for those who have Net cable TV, or belong to the Clube Sou Mais Rio from the “O Globo” newspaper. All these discounts are non-cumulative. A last word: if you wish to spend a very relaxing and enjoyable evening, do not miss “Cole Porter – Ele Nunca Disse Que Me Amava”. But book early, because I had information that the musical has had full houses since it opened! Chair of the Instituto Cultural Chiquinha Gonzaga.